Do you like to draw? How about animate? Now you can do both while surrounded by a 360 degree view of your art. 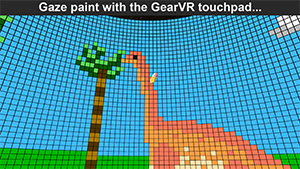 Circumpaint allows you to paint with pixels on a hemispherical canvas with you at the center. And when you’re ready you can move beyond stills using page flip style animation. 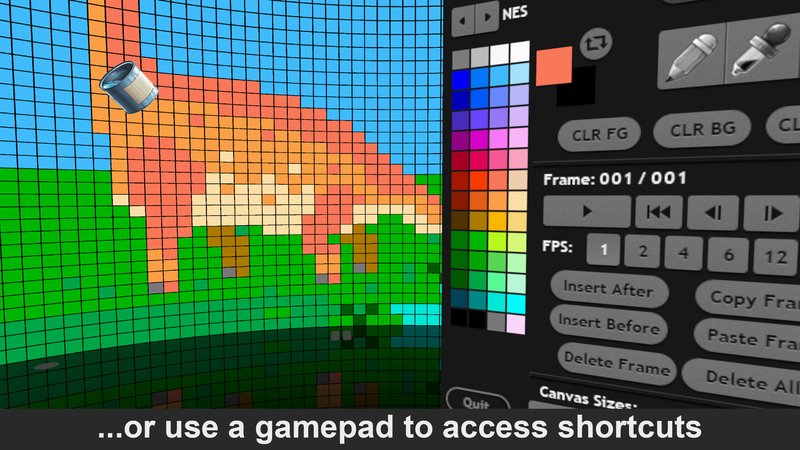 Uses the touchpad, or use a gamepad to access shortcuts. 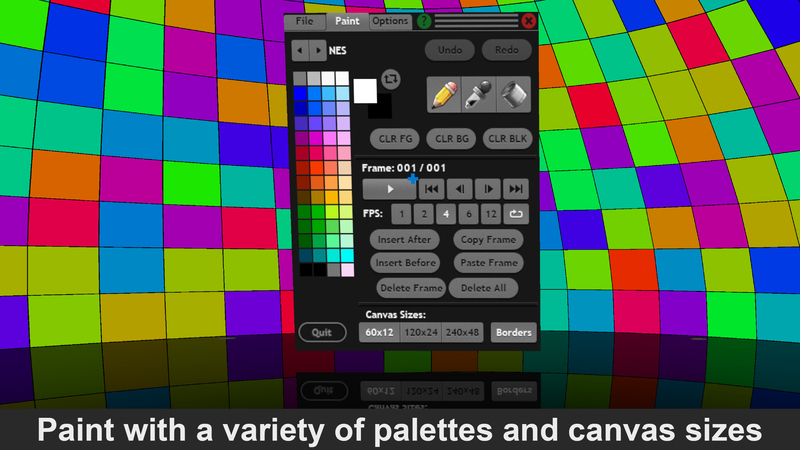 Circumpaint has a central UI panel that contains all of the tools and actions you need to produce your work of art. 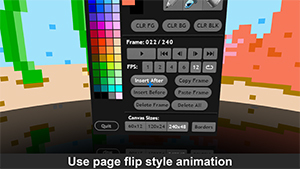 You may access the UI panel at any time by pressing the Back button, or the 2 or Y button on the gamepad. The UI panel is divided into three tabs. The File tab is where you may save your creations, as well as load in some sample images and animation. 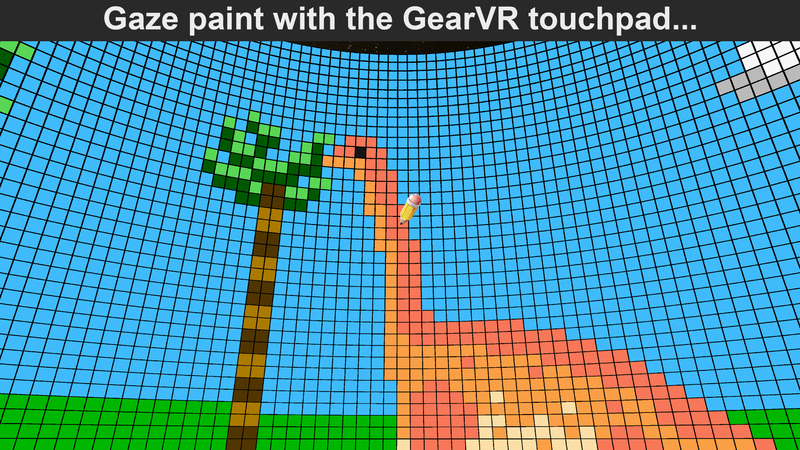 The Paint tab is where you’ll spend most of your time. Along the bottom are the Canvas sizing buttons, and a toggle for the optional border. The sizes range from chunky to fine, and you may switch between then at any time (it is non-destructive until you paint on a cell). This allows you to do broad brushstrokes and then go in for finer detail. 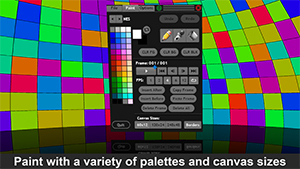 Along the left are the predefined color palettes you may choose from, and switch between them at any time without affecting your art. Just to the right of the palette are the current color swatches. 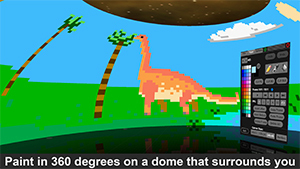 The topmost color is drawn by holding down the touchpad on the Canvas, or pressing the 1 or A button on the gamepad. 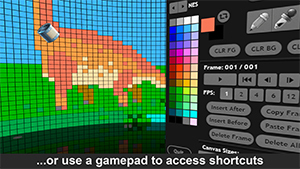 The bottom color is available by pressing the 2 or B button on the gamepad. Next are the drawing tools: Pencil, Eye Dropper, and Paint Can. These are the standard tools you would expect, and make use of the touchpad, or 1/A or 2/B gamepad buttons to draw with. 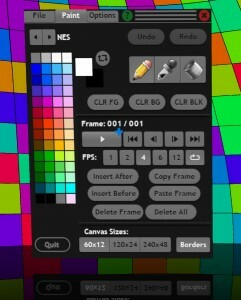 Following these are buttons to clear the Canvas according to the current colors, or black. 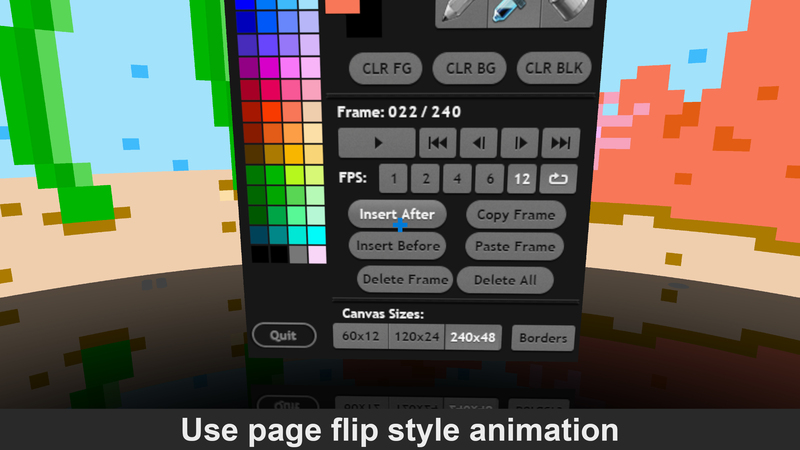 The remainder of the Paint tab is devoted to page flipping animation. From here you may insert or delete frames and navigate between them. You may also change the playback rate at any time. 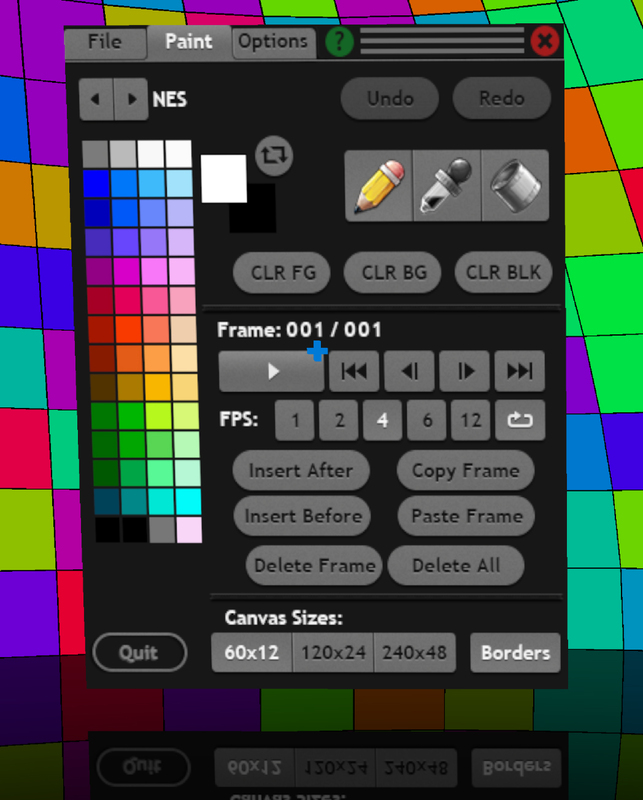 The final tab is the Options tab where you may turn on mirroring of the Canvas so you only need to draw on the left or right, and all actions are mirrored to the other side. The Canvas border may also be changed from black to white. To get help with the controls at any time, click on the green question mark button at the top of the panel. The UI panel may also be closed by clicking on the red X button. 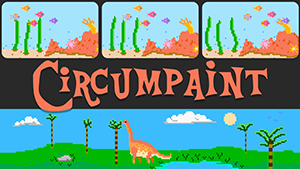 Circumpaint uses the Unreal® Engine. Unreal® is a trademark or registered trademark of Epic Games, Inc. in the United States of America and elsewhere.